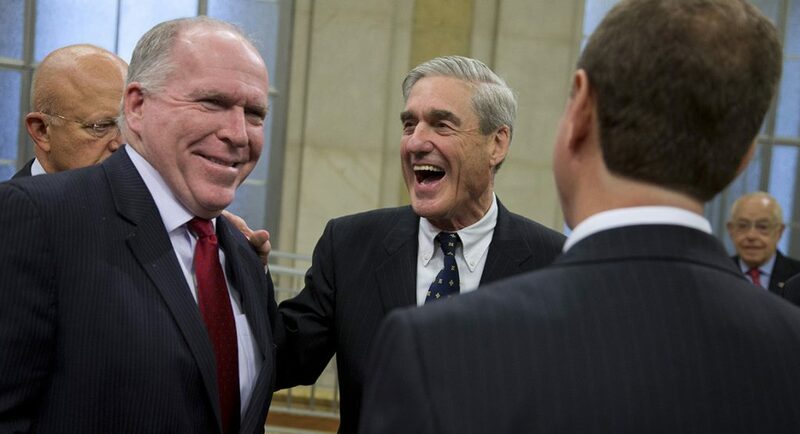 That sucking sound you hear is the air going out of the room after the completion of the special prosecutor’s investigation. I don’t know about you, but personally, I feel a bit snookered, as if I had been tricked into a three-card Monty or a shell game. The thing that bothers me most is that I SHOULD KNOW BETTER! It wasn’t that I thought Mueller, the FBI and the DoJ were going to save us. They are not the ones that got me. I was distracted by the non-stop, 24/7 coverage by the corporate media: talking heads, four and six at a time, morning, noon, and night, as well as the NY Times, Washington Post and all the rest. I stopped watching cable news months ago and tried to help my friends pry themselves loose of Chris and Rachel as well. For some, it was like being caught in a spider web; they couldn’t get out. We should have seen this coming. Back in March 2016, we published on this blog, “Standing By for Trump,” which pointed out that while Trump had spent about $10 million in TV and media ads during his campaign for the Republican nomination, the corporate media provided over $2 billion in free coverage. The New York Times (3/16/16) reported that Hillary Clinton only received $745 million, and Bernie Sanders about half of that. This is when now-disgraced former CBS CEO Les Moonves said that coverage of Trump “may not be good for America, but it’s damn good for CBS!” This Trump-mania only skyrocketed after the election and during the investigation, with non-stop examinations of meetings with Russians in Trump Tower and X-rated dossiers. There are a lot of opinions about what has taken place. I’m taking the president’s privilege here to give my two cents. My feelings are best described by Glenn Greenwald of The Intercept, on Democracy Now! (3/25/19), and by Farhad Manjoo in this piece in the New York Times (3/25/19). I really want to hear your thoughts on this as well.